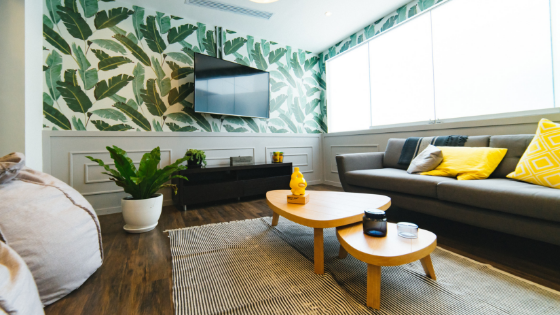 For those decorating or redecorating upscale apartments in Suwanee, Georgia, beanbag chairs may not be at the top of your must-have furniture list. However, you might be thinking of the comfy but unattractive vinyl creations you coveted as a child — and threw away as soon as you developed a more adult aesthetic. Some modern beans are sophisticated and edgy, such as chaise-inspired beanbags with structured seams and back support. They cost a lot less than other furniture since polystyrene beads are cheaper than the wood and metal components used in traditional furniture. They're lightweight and easy to move from room to room (or across town when you move). Today's beans give you the same comfort and "smooshy" factor but have been reinvented to consider lumbar support and ergonomics. Beanbag chairs come in neutral or colorful versions. If you have a home office and need a mental break, a beanbag chair in beige or black is a comfy place to step away from the computer. If you are looking for extra seating in the living area, choose a smooth or textured design in a bright palette to add interest. Beanbags are natural attention-getters due to their usual shape, so flaunt it. No two words ever went together better. If you have kids and space is at a premium, then beanbags are the ultimate decor item. Children love to smoosh down in beanbags to nap or watch TV and can even use them as construction material to design a play fort. Smaller beans fit kids' smaller bodies and can be carted to any room of the apartment so kids feel part of whatever's going on. Pets also love beanbags, which appeal to their natural nesting instincts. There's nothing so Facebook-worthy as a cute pic of a pet in a beanbag chair. If you're still deciding on how to furnish a bedroom or home office, beanbags make great starter furniture, but you might find it hard to give them up! However you use beanbags, they are sure to add a fun touch to apartments in Suwanee. If you're looking for a smaller or larger place, please check out available floor plans at The Pointe at Suwanee Station.